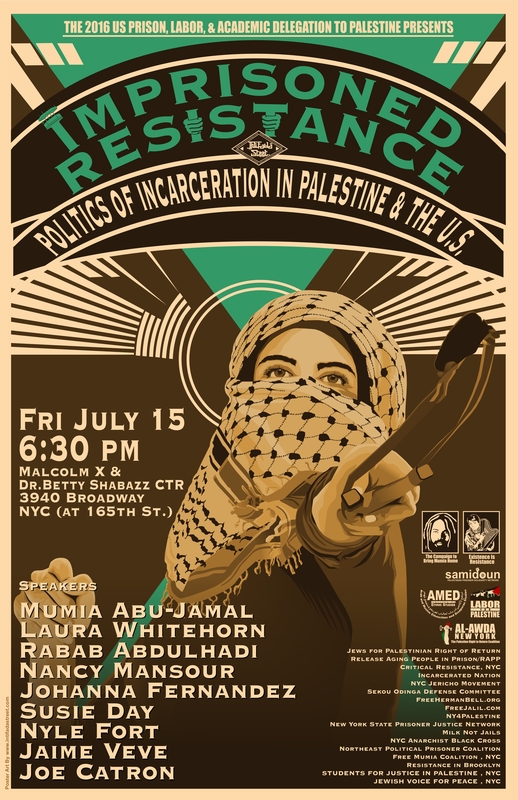 Friday in NYC — Imprisoned Resistance: Politics of Incarceration in Palestine & the U.S.
Posted on July 12, 2016 | Comments Off on Friday in NYC — Imprisoned Resistance: Politics of Incarceration in Palestine & the U.S. This entry was posted in LFP Bulletins, Political Prisoners. Bookmark the permalink.